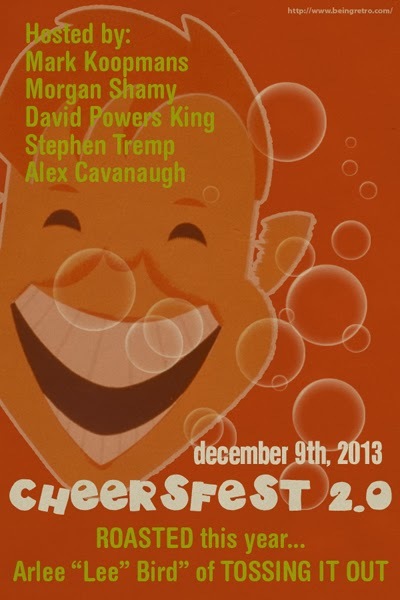 Being Retro: CHEERSFEST 2.0 and BLOG-MAN! I am so behind, but I want you all to go and check out the cool stuff happening in the blog world! I guarantee you will find it fun, fun and well fun! 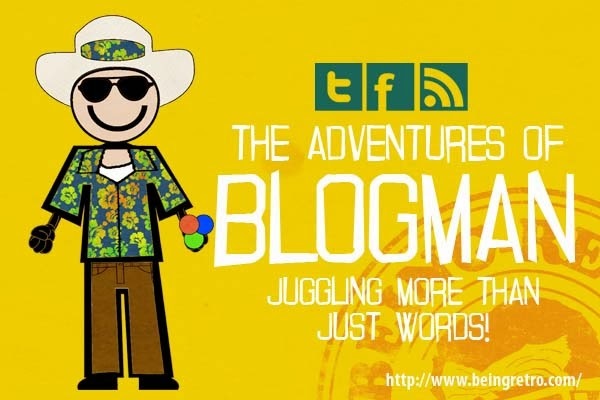 First on your journey "the adventures of BLOGMAN" where you be introduced to someone you should know. Following that trail you will be whisked away to another place where there will be cheer... "CHEERSFEST 2.0"... so please enjoy! I will be back to my normal scheduled programming soon, thank you all for sticking around. You need a break--from the moving job at least. Hope your mission has been successful. Are you ready to buy a truck and start advertising your moving services on Craig's List? Thanks for all the great artwork. Lot's of cheer exuding from those images. I like those badges very much. I really hope you have not had anymore close encounters with spiders. :) Take it easy. You do great work Man. Keep it coming! Stay away from those spiders. SPIDERMAN only happens in the movies! Great job as always. Wonderful badge and so many posts for Lee. Not the overload it was last year for Alex, but Lee probably appreciates that! You're not kidding. If I had as many posts to filter through as Alex had last year you'd be waiting until next Cheersfest for me to finish. LOVE LOVE LOVE the Blogman! He's perfect for Lee. I'm sure it made him quite happy and gave him a feeling of how much the bloggy world loves him. You're so awesome to do that for him!